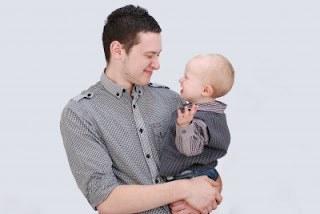 The Breastest News: Guest Post: Do We Need More Male Childcare Staff? The lovely Emma from Mellow Mummy has kindly sent in her guest post for the Brit Mums guest post match up! She's here to talk to us about male childcare staff - where are they and why are there so few? Read on to see what Emma has to say. My two year old has been at nursery on an almost-full-time basis for 6 months. Before that she spent 4 days a week with two childminders. It wasn't until this week that it suddenly occurred to me that every single member of staff at my daughter's nursery is female (including back office staff). This worries me. I'm sure it worries me more than most because I am a female who quite honestly prefers the company of males. I work in a team of only males – my career choice dictates that. As far back as I can remember, perhaps even as far as 3 years old, my closest friends have always been male. And I guess that's why it concerns me that Lara has little contact with adult males other than her own father and her two grandfathers. Does it worry you that your children, from a young age, are brought up in a world where the people of authority are ordinarily female? Or does it comfort you? In pre-school childcare I have found it very unusual to see any male staff. I can understand that it might not be the most appealing choice of career for many young men but my husband suggests that the reason is not the lack of interest from male staff, but more the lack of enthusiasm from parents themselves. My husband strongly believes that most parents (male or female) would feel uncomfortable leaving their child at nursery with a male member of staff, or a male childminder. In the UK there are plenty of male school teachers (admittedly far fewer than female teachers, especially at primary school level). Do parents feel the same fear dropping their child at school? Is the fear of male childcare staff born from the lack of males in the profession? If there were more male staff, would people be more open to the idea? Perhaps the expectation is on female childcare staff because traditionally mums would stay at home to nurse their children and therefore female childcare is considered more 'natural'? In a world where mums and dads are increasingly sharing the responsibility for childcare, is this still a valid stereotype? For me, I know I would love it if Lara had the chance to spend time with more male staff who had been through the same rigorous governmental checks and training that her current nursery staff have. 4 comments on "Guest Post: Do We Need More Male Childcare Staff?" Ive had the absolute pleasure of working with 2 males throughout my career once while working at a Pre-school which was an older gentleman and once in a day nursery which he was the same age as me (24 at the time) and also as it seems lucky to known a male nanny also, Ive found nothing but praise and encouragement from all parents at both settings who feel they are a real asset and even had some parents choose that particular setting because they have employed male staff , I also feel the children really benefit from having a male role model throughout there nursery day expecially if they have a strong sense of male figures in there life or even if there lacking, some even only find real comfort through male figures. Ive worked in an all female setting and find that there is in part something missing which only male practitioners bring to a nursery! I think more should be done to encourage men to take up this profession as ive found there a real asset to nursery life!!!! Thanks for your comment. I've never had the pleasure of meeting any male childcare staff so it's very interesting to hear other people's experiences and see things from their point of view. oh thats wonderful to hear that there are men out there who want to work in childcare. 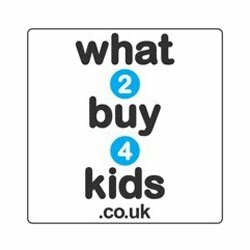 I think you're right, children would really benefit from it. It was the same with my two children. My son is now 14 and went throughout both nursery and primary without having a single male teacher. My daughter attended nursery with no male teachers but in her primary school (we moved to a different area so she isn't going to the same one as my son) she has just finished y2, where she had a fantastic male teacher and for year 3 she will also have one. I think it has done her the world of good having a male teacher, especially at such a young age.